This design is paired with an article in the "Learn it, Do it" section. 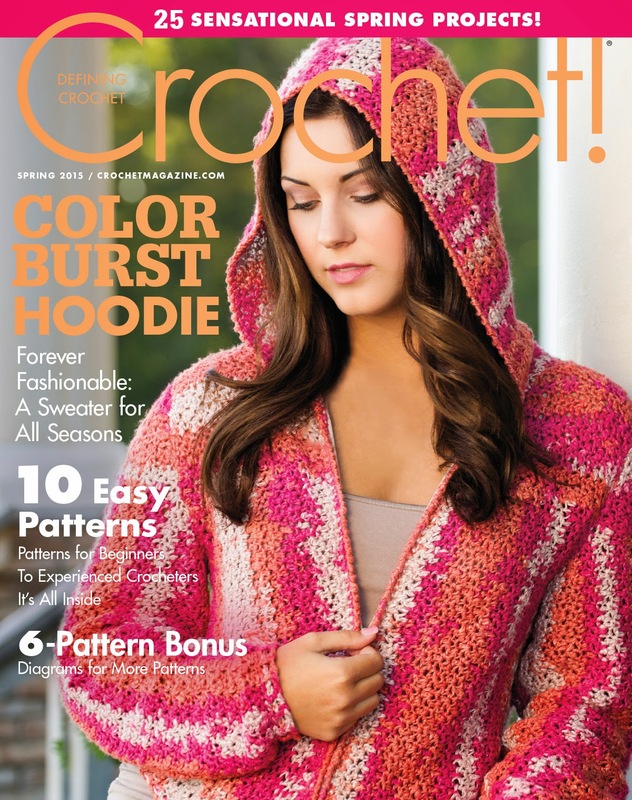 The article gives tips on how to chose fabric, how to line your tote and how to sew the crochet to the fabric along with several helpful photos. So, if you've never tried this technique, this would be a perfect project to get you started. I crocheted the handles with the new Lotus Yarn by Designing Vashti - it has a beautiful sheen seen best in the bright sunlight and comes in great colors. Click here to buy.